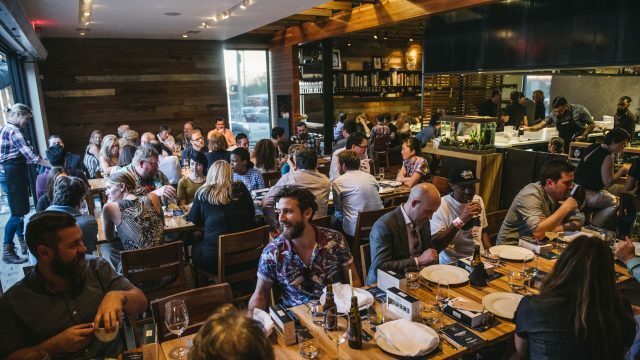 The SXSW Conference will host two Networking Lunches for all badgeholders at Eddie V’s, Austin’s prime quality seafood restaurant, on Friday, March 10, and Saturday, March 11, from 12pm–1:30pm. Join fellow badgeholders to enjoy a meal, discuss industry trends, and make new connections. Looking for a quiet time away from the hustle and bustle of the conference? This intimate lunch is a great excuse! Professionals from various backgrounds and industries will partake in this opportunity, and engage for an hour during an exceptional meal at Eddie V’s – see menu details below. Tickets for the lunches are open to all badgeholders for $56 and include a three course meal with side dishes paired with the entrees. To register and purchase tickets, please visit the RSVP page.